Naomi graduated from Ulster University, Jordanstown with a 2:1 degree in Law in July 2018 having previously graduated from Queen’s University, Belfast in 2015 with a 2:1 degree in Criminology with Sociology. During her time at university, Naomi volunteered with the Youth Justice Agency providing support for young people in the community to reintegrate back into society and carry out their community service. She was also involved in the establishment of the Foyle Women’s Aid/Ulster Law Clinic programme which provides support and legal assistance for victims of domestic violence and abuse. Naomi interned with HHD Solicitors during July/August 2017 where she worked with Jenna Boyce and Catherine McReynolds in the family department. 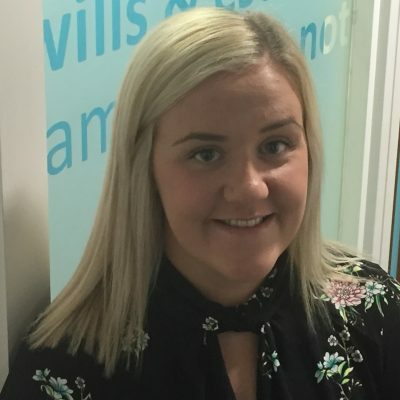 Naomi joined HHD Solicitors as a legal executive in July 2018 and is working within the Litigation department, primarily alongside Michael Hollywood assisting him with his asbestos related disease cases.